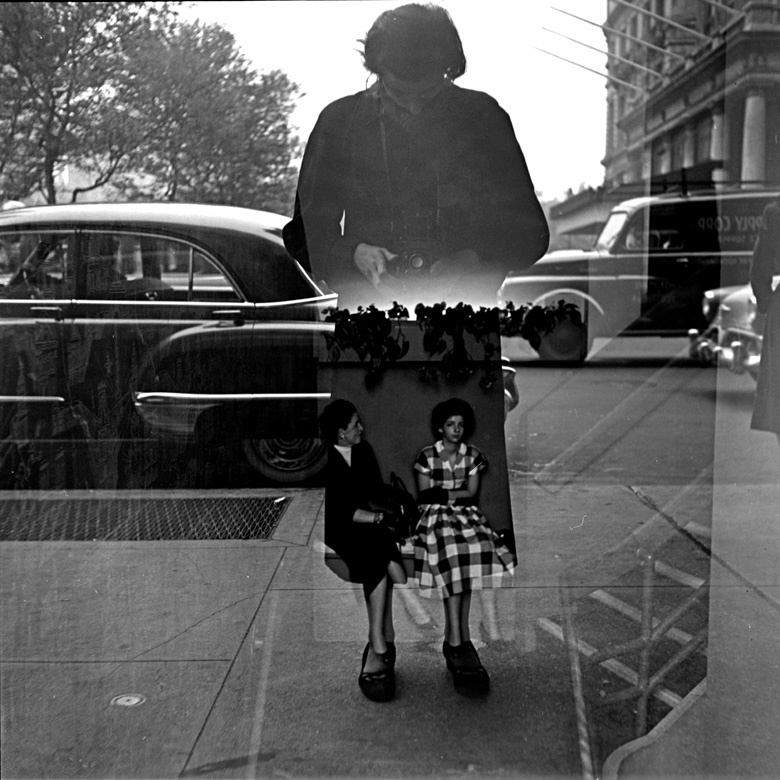 Another wish-I-had-found-it-while-flea-marketing moment – the work of street photographer Vivian Maier. 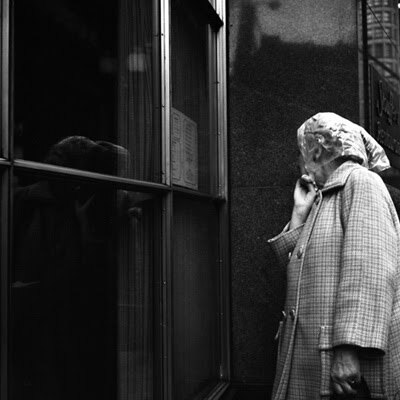 A street photographer as well, John Maloof found Vivian’s negatives at a furniture and art auction in Chicago. Her private life is still somewhat of a mystery, but what little of it John has gathered can be found on his Vivian-dedicated blog. He is compiling her work into a book, but has been kind enough to share some of her images via the Internet. The Independent recently did a write-up on the discovery of her work. I am in love with these photos, especially her reflection images. Looking through her photographs is like peeking into her visual diary. 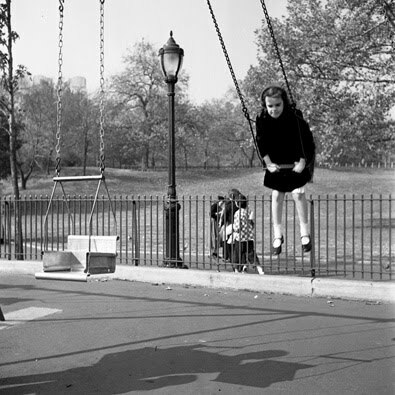 Maier was primarily a nanny, but as evidence of the 40,000 negatives found after her death, photography was her creative outlet, her true work. It is evidence of how the joys of photography can be had in just taking the photograph, not worrying about the end result. cool blog and thanks for the comment on mine. Definitely some interesting content, I will surely continue to follow! Amazing photos. I haven’t heard of her before, but now I’ll be looking for her work! I especially love the refection photo, but everything is just amazing! I know, these photos have been inspiring me for the past month, since I found them on the old Web. I can’t wait for the book! 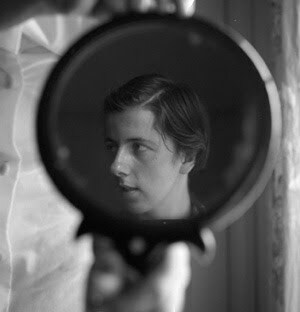 Amazing images- i love the one where she’s in front of the window photographing the people inside! I love that one too – the image that inspired me to write this blog. Wow. this is an amazing find! I know – can you imagine if we found something like this while rummaging? I’m turning Pottery City upside-down this weekend!